When it comes to skincare and cosmetics, it seems like no one does it quite like the Koreans. Korean skincare and beauty products have made a huge splash in the West over the past few years. From BB creams to sheet masks and oil cleansers, it seems as though all of our modern skincare and beauty trends have hopped the Pacific. So what is it exactly that makes Korea such a hotbed of skincare innovation? A strong market for skincare and cosmetics that spans the ages and defies gender is partially responsible for making Korea so skin-centric. The market is so intense that a 10 to 14-step skincare routine has emerged, detailed in The Little Book of Skin Care: Korean Beauty Secrets for Healthy, Glowing Skin, by Charlotte Cho, founder of Korean beauty and lifestyle website Soko Glam. Here are a few of the steps in that intense routine that have made their way into the American beauty vernacular. Cleansing oils have become huge in the Western skincare market. With options available at every price range, oil cleansers promise to gently breakup makeup and cleanse skin without harsh soaps. 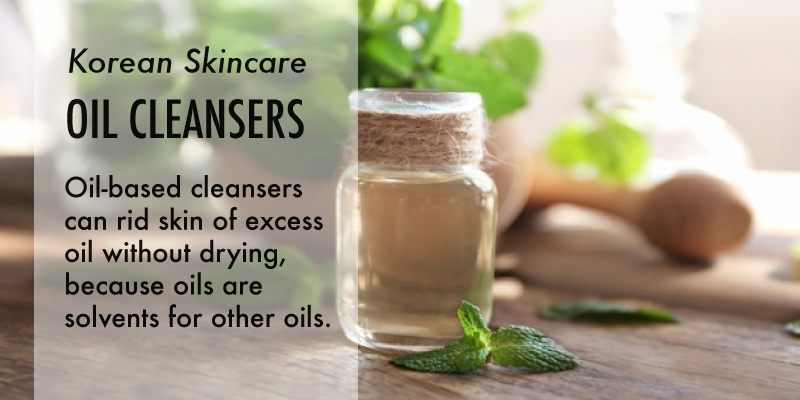 Oil-based cleansers can rid skin of excess oil without drying, because oils are solvents for other oils. Do It Yourself oil cleansing recipes are rampant on sites like Pinterest, but these homemade options often contain oils that might do more harm than good. 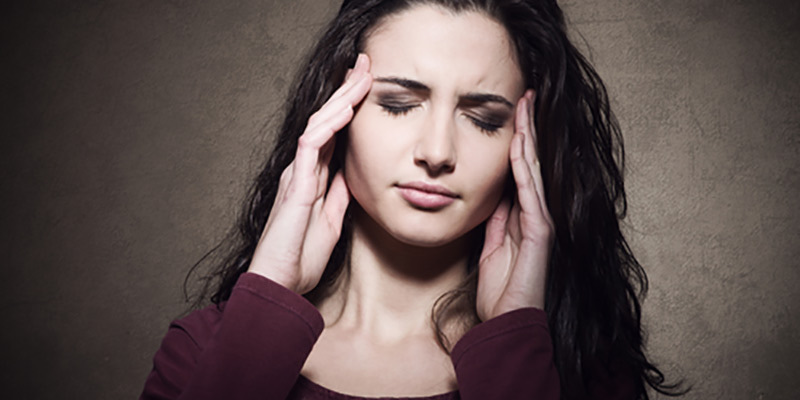 Castor oil, a common ingredient, has been linked to contact dermatitis. And olive oil, touted for its antioxidant effects, can spark allergies that cause irritation in people with eczema. 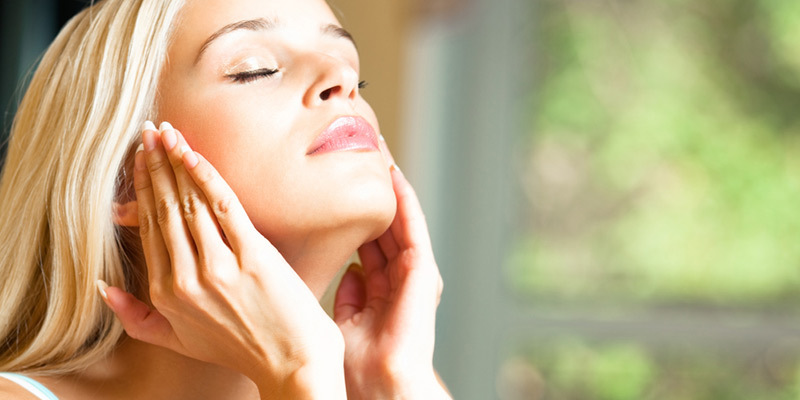 Your best bet is to forgo home remedies and seek an oil cleanser designed for your skin type. After cleansing and removing makeup with oil, most Korean skincare routines follow up with a gentle foaming cleanser suited to the user’s specific needs. This double cleanse ensures that you’re not left with any makeup residue and that your skin is both clean and conditioned. 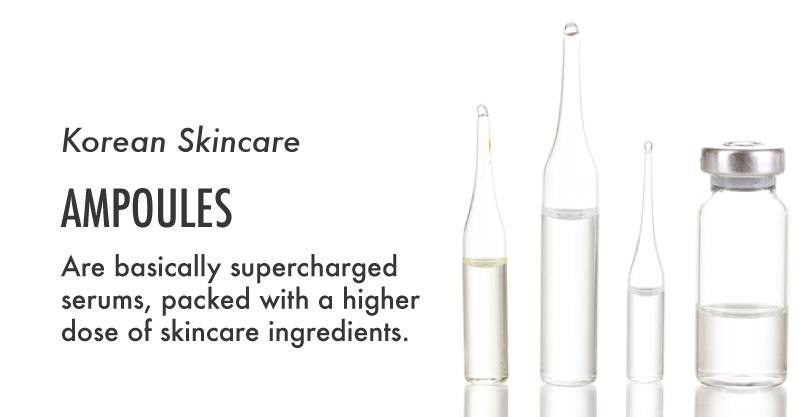 Ampoules can sound a little bit intimidating, but they’re really just supercharged serums, packed with a higher dose of skincare ingredients. The don’t come in tiny, one time use glass vials like the name might suggest, but rather bottles similar to serums, just a little smaller. 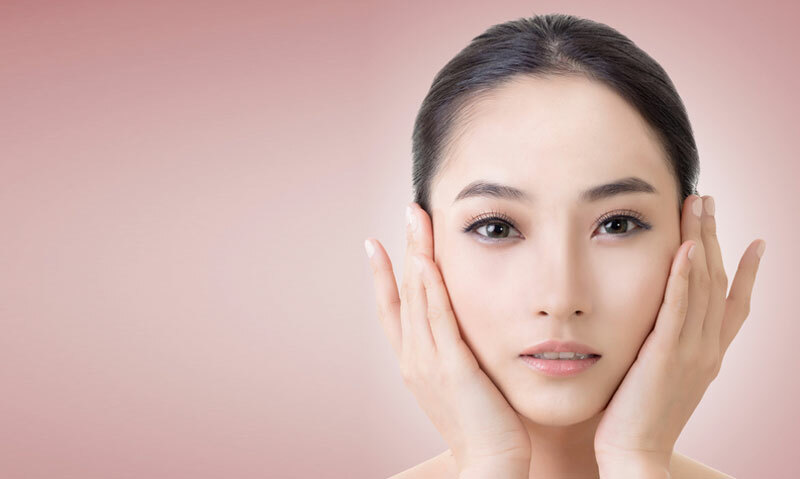 In the Korean skincare routine, they’re often combined with or used in place of serums and essences. In an interview with thegloss.com, Korean skincare expert Alicia Yoon said, “Many ampoules also include a medley of antioxidant rich botanical ingredients to help nourish the skin and fight free radicals.” She goes on to say that those ingredients are specific to each different ampoule, selected for what that ampoule is targeted to treat. Ampoules can be used as a special treatment when skincare issues rear their ugly heads, or as part of your regular routine alongside or in place of a serum. Sheet masks, if nothing else, are a lot of fun. The gooey sheets are covered in ingredients that benefit your skin, plus they make you look a little like Jason in his hockey mask. 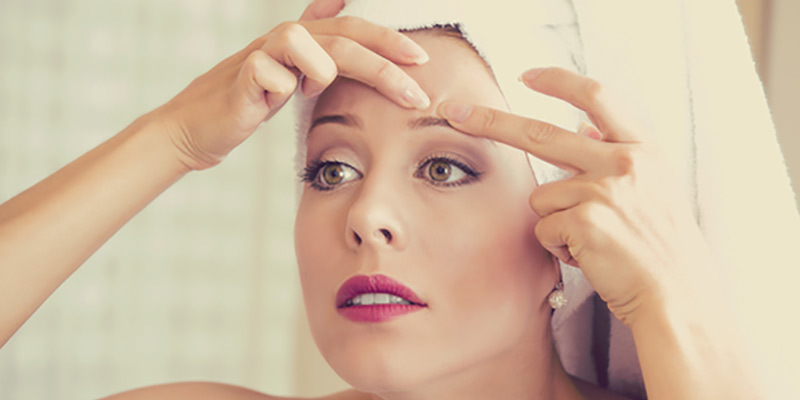 Masks are a tremendous area of growth in the skincare industry. According to a 2014 report by the NPD Group, Inc., sales of masks increased by 60 percent in the U.S. alone. Promising immediate skin benefits and a spa-like experience, are masks worth it? The short answer is yes, but you often get what you pay for. More expensive sheet masks are often made of a bio-cellulose material that adheres snugly to the skin and flexes with face movements, making it more comfortable than paper and hydro-gel masks. One study, published in Cellulose, showed bio-cellulose materials as an innovative, effective and consistent method of applying caffeine to skin for the treatment of cellulite. The best facial sheet masks are ones that contain ingredients and delivery systems that are going to make the most out of prolonged contact with your skin. 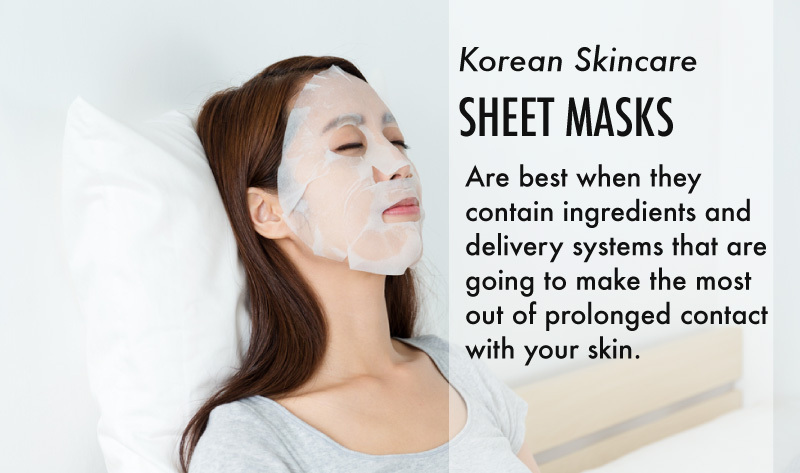 Choose a sheet mask with all of the good ingredients that suit your skin type or concerns, plus delivery agents like glycols or liposomal delivery systems. Sit back for 20 minutes – or however long the mask instructions indicate – and relax while your face is pampered. Essences sound super fancy, but they’re a lot less lavish than their regal name might imply. They, too, fall into the category of serums and ampoules. 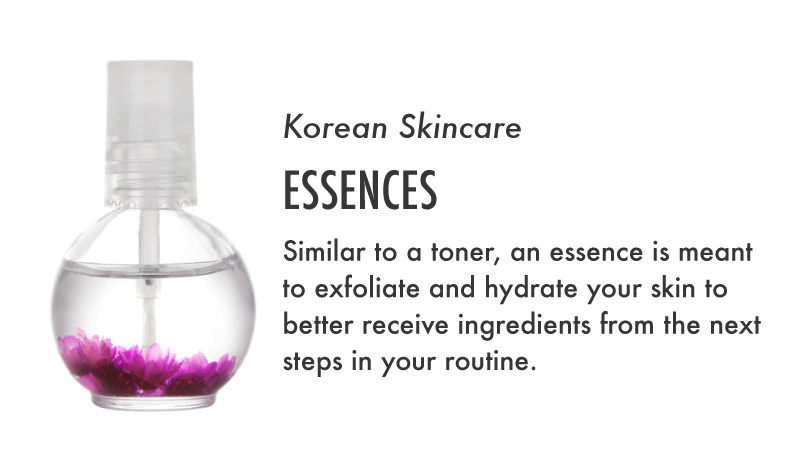 Essences are, at their essence, a hydrating step before serums in a Korean skincare routine. Similar to a toner, an essence is meant to exfoliate and hydrate your skin to better receive ingredients from the next steps in your routine. It feels like water and oftentimes comes in a spray bottle so you can mist your face. Delightful. Adding an essence to your arsenal might seem frivolous, and if you’re comfortable with your current routine it very well may be. But it provides another source of skin benefitting ingredients and an opportunity for even more efficacy from the rest of your products. Skip it if you’re looking to save some time and money, but go ahead and indulge if you want to step up your game.